When the original WarioWare title was launched, it wasn't a product we necessarily had hugely high commercial hopes for. However, since then it has grown into an indispensible series that was released as a launch title for the Nintendo DS, and will soon be released simultaneously with the upcoming Wii.4 Speaking as the game's developers, it must make you feel quite proud. 4WarioWare: Smooth Moves will be released as a launch title in Japan, however the European and North American versions are scheduled for release soon after launch. It certainly does. At the beginning, I expected it to be nothing more than a one-hit wonder, but when the Nintendo DS came along people were saying things like: "This hardware was made for the WarioWare series!" (laughs) That's why with the Wii launch, I'd already decided that I'd like to make a WarioWare title for it: I didn't need to be asked! Back when the first one was released, I never imagined it would develop into that kind of series. With the first WarioWare game, it wasn't so much the specific character of the game that marked it out, but rather that Nintendo was quite a different company back then. Both inside and outside the company, there was a distinct image that we only produced "Nintendo-style" games. WarioWare was born out of a desire to depart from the norm, with that particular kind of fun that you only get when you make something different. When WarioWare was first being developed, I clearly remember you kept saying: "Let's do something Nintendo wouldn't do!" Yes we did, didn't we? There was a really positive atmosphere among the staff ever since the development of the first title. It was obvious to me that these people wanted to make the game a reality, and were used to buckling down and devoting themselves to projects. The problem we were faced with was how to make the game into a saleable package. We wanted to keep our ideas as we'd originally intended, but we also had to come up with a strategy to make it marketable. This got us scratching our heads, and caused a fair amount of worry. A funny thing is that it was none other than Shigeru Miyamoto-san himself who put the most thought into how best to market the first WarioWare game. We were trying to do something that wasn't typically Nintendo, or to put it in a more extreme way, something that Miyamoto-san wouldn't make, so we found it hugely amusing that he was the one thinking hardest about how to make the product marketable! That's right, it was Miyamoto-san who gave his approval to that slogan which went: "More! Shorter! Faster! "5 5This slogan appeared on the packaging for the Japanese version, but was not used on the European and North American versions. Yes, he was adamant that it be written on the package! At the time, Miyamoto-san put a lot of energy into showing how WarioWare's unusual yet amusing playing style made it distinct from all the other games out there, in the way it could be simply picked up and enjoyed without having to get deeply absorbed in it. And as a result, the games went on to become invaluable launch titles and even more than that, they marked the first of a new type of accessible software that appealed to a broad spectrum of people. The really interesting thing was that it was none other than Miyamoto-san who was demanding a game that he wouldn't make himself! Come to think of it, that's similar to the way the Mii Channel came about. The software that I was shown by you and your team was originally intended for the Nintendo DS.6 It was exactly what Miyamoto-san had been saying we should make for quite some time. When I showed it to him and suggested that this was the kind of thing he'd been looking for, the idea became the Mii Channel in no time. 6Please see Part 4 of the Channels interviews in the "Iwata Asks…" series for further discussion of how this DS prototype software provided the basis for the Mii Channel. I've actually brought that software along today. Of course, it was never actually completed, but here it is anyway. This already contained all the basic elements of what would go on to become the Mii Channel. You could make faces with ease using the control system, and it had a very intuitive interface too. Miyamoto-san mentioned that he'd like to be able to create an "alter ego" that wasn't data-heavy and could be used to represent the player in lots of other games. And this was exactly what you'd made. Well, to tell the truth, we didn't really know that this was what Miyamoto-san had been after all along. What we had come up with was not first and foremost about making faces. In fact, it was simply intended to create avatar-like characters that could then be stored and used in various other games. So in the beginning, the software only allowed us to change the arrangement of the eyes, noses and mouths to create a face. I made the observation that the parts I'd need to make a digital version of myself were noticeably missing! (laughs) The eyes needed to be bigger and to be positioned at a different angle, but the software didn't allow for that. I asked: "Is there no way to change the size or angle of the face components?" That was the "Eureka" moment! 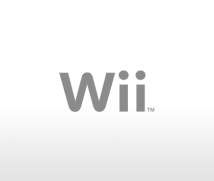 If that concept hadn't been struck upon, the Mii Channel and Mii characters would never have been made and more than likely, Wii would have turned into a very different kind of console. Well, it sometimes pays to ask! And all because I couldn't make a likeness of my own face! (laughs) I had to tell the staff to adapt the program to allow people with "non-normal faces", like myself, to be able to make their faces as well. "Non-normal faces"! (laughs) If you hadn't said that one little thing, we wouldn't have the same Wii we do today! To put it another way, if Sakamoto-san had a more normal-looking face, we wouldn't have Wii as it is now! That's right... Hey, wait a minute! It may be true that my face is a little out of the ordinary, but it isn't only me. There are many other people with "unique" faces around the world too you know! (laughs) It would have been a terrible mistake on our part not to make the faces completely customisable. And now, thanks to all the demands we made, you are able to make a real variety of faces. Sakamoto-san's strange face changed Wii forever! Okay, enough is enough. Let's leave it there, shall we? And now things have come full circle as the Mii Channel can be used with WarioWare: Smooth Moves. Could you tell us a little about how the Mii characters feature in WarioWare? At the start of the game when you enter your name, you also have the option of selecting your Mii character and they'll pop up quite often during the course of your play. For example, there's one stage in the game where your Mii character's head will appear on top of a large spring; so basically you're a human spring! The object of the game is to dodge the ball that's thrown at you by holding the Form Baton over your head, adopting "The Mohawk" position, and leaning to the side. When you do this, your Mii in the game will mimic the movement in order to dodge the ball. The fact that the face you see on the screen belongs to you makes you try a lot harder too! Getting hit also becomes more infuriating though! (laughs) So basically that's the kind of pop-up appearance your Mii character tends to make in WarioWare. You don't think it's maybe a little "ridiculous"? Okay, before we wrap things up for today, would each of you like to say a little something to the many fans who have been patiently waiting for this game? Of course. Up until now, the WarioWare games have featured primarily on handheld consoles, and have focussed on allowing players to enjoy them in one-player mode. This time round though, we have endeavoured to make the game into something that can be used to have fun with people. Of course, it's still a lot of fun to be played alone, but wherever possible, try to invite a few friends over, throw caution to the wind and let everyone enjoy the experience together! Of course, I don't imagine for a second that the development of the game was all plain sailing. I'm sure there were times when you were all exhausted, but you never became downhearted. Actually, the WarioWare team always seem to go around with big grins on their faces! That's the way they tend to be anyway. But who knows, they could all be crying behind my back though! (laughs) But the impression I have, looking back over the whole project, is that most things went really smoothly and we had a lot of fun. I'm sure that everyone is suitably exhausted, but I can clearly see that they all enjoyed being part of the team and for that reason I think it all went really well from start to finish. In the real world there is no way you can create something good without some degree of struggle. But I think the fact that the development team never became dispirited was the reason that you have come up with a game that can make everyone smile. I'm sure that's true. It really comes across in games, doesn't it? The atmosphere among the developers, I mean. If the fun that everybody had making the game manages to be communicated in the game itself, then we couldn't have hoped for a better result. But somehow it wouldn't have sounded right if you had told me that WarioWare:Smooth Moves was the result of painful struggle. After all, this is a game with a section where you have to put your finger up your nose!